36. 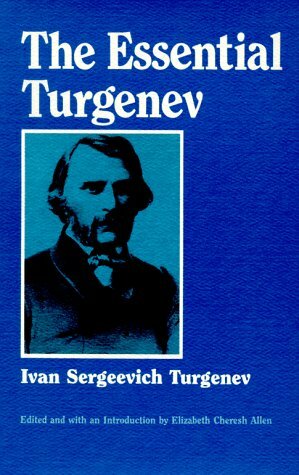 The Plays of Ivan S. Turgenev. by Turgenev. Ivan Sergeevich. 1818-1883.
incapable, for reasons as complex as Hamlet's, of engaging in effective action. treated, in literature anyway, as kind of tragic heroes, as Russian Hamlets. 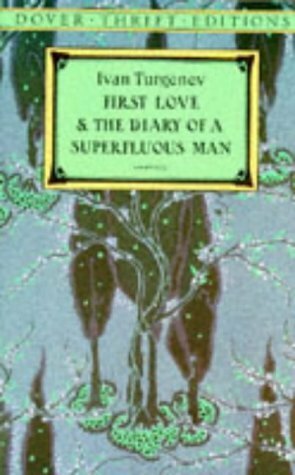 The Diary of a Superfluous Man is a diary of a fictional 30 year old man written during the last two weeks of his life. The dying man, Tchulkaturin, is exceptionally introspective and obssessed with his sense of failure and inferiority. His heated sensibilities stifle his will. He was a particular type in Russian literature, especially hated by the reformers of the day. In their eyes, he made no social contribution--hence, the term "superfluous". The Diary is not just a negative romp of a self-pitying aesthete. True, there's much complaints, hysteria, and sentimentality, but it's relieved by Tchulkaturin's amusing self-awareness. Likening himself to a useless fifth horse on a carriage, dragged along by life, he says, "But, thank goodness, the station is not far off." It was said that his birth was the "forfeit" his mother paid in the card game of life. 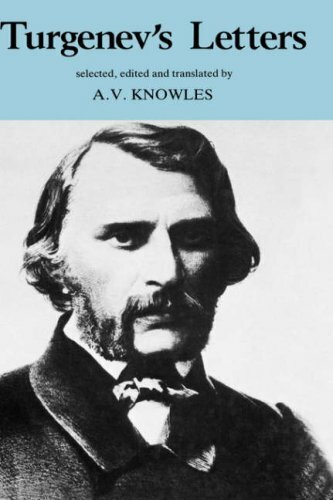 Turgenev's ironic humor and relentless yet light-hearted social criticism add sharp levity. Tchulkaturin supports his self-assessment as superfluous with the "folly" of his life, a failed three week love affair which he claims was his only happiness. 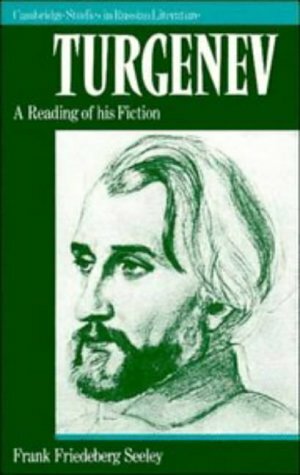 Through this vehicle Turgenev explores the themes of love, passion, illusion and will versus weakness, which is also the focus of the companion story, First Love. Tchulkaturin remembers bliss and humiliation, but he did take action. We see that no one wants to be rescued from passion, not even Tchulkaturin. Does it matter whether he reached his goal? The townspeople eventually esteemed him--perhaps he did make a social contribution and wasn't, afterall, a superfluous man. Irony upon irony and no answers. In his small room, confronting death, Tchulkaturin realizes that none of the pathetic facts of his life matter. Yet he laments he has "gained sense" too late. He sees what things have had meaning for him. No matter how small, he wants to hold onto them--he wants to live. The tragedy is that Tchulkaturin is universal, not superfluous. He, like most of us, come to realize that it is part of the human condition to feel that happiness and life seem to have hardly begun when nearly over. At the end of the diary, after Tchulkaturin has died, Turgenev adds another ironic touch that doubles as a social comment and as a device to force the infinitely unvarnished and necessary view that life goes on however it will, regardless of how we may think we have lived. First Love is the story of an adolescent who falls in love with the same woman as his father. It sensitively portrays the transformation of a child to a young man, precipated by his first passion. The unusual triangle intensifies the suspence as we wonder how the son will find out who his rival is--he knows there is one. His inevitable realization deepens his emotional life and his understanding of the complexities of human life. The story has an episodic structure from which the poetry and drama effortessly unfold, showing the son's growing love and helpless flip-flopping from child to man.The parlor games portentuously hint at the untold subplot. No character is wasted. Each has a distinct purpose for plot development and highlighting the boy's predicament. Turgenev's incomparable nature depictions have such a clarity of vision that vivid and penetrating images automatically arise in the mind's eye whether he uses them to symbolically presage events or to reflect a character's emotional state. Or, Turgenev can use his visions of the expansive beauty of nature in opposition to the character's emotional condition to distance us from it to show human insignifcance in the face of the vastness of existence. The pairing of The Diary with First Love is good. Each is a meditation on life, love and death. The juxtaposition of the two love stories, the neurotic dying man, the intelligent, passionate young son, and the powerful, archetypal father stimulate profound thought: How should life be lived--passionately or safely? Why to we cling to life so, no matter how we perceive it? Who decides whose life is superfluous and whose is meaningful? What are the criteria? Is any life meaningful? Does it matter how we have lived if we can discard our regrets and wonder at the paradoxical smallness and greatness of life? Is any significance we attach to life a mere crutch to face life or a crutch to face death? Each rereading of the stories reveals more perspectives and more layers of meaning. WHO is the translator?? WHERE is the list of works included in it?? I was hoping to buy it, but I need this info FIRST. Though Turgenev is not as household a name as the other Russian writers (though he certainly should be), you will see here in this wonderful collection, that his language breathes as sure as you do.His descriptions are full of life as are his characters.One mark, at least for me, of a great writer is that his readers are able to remember years later his visual and emotional conveyances.You won't struggle in this regard with Turgenev. Words, all words. There were no deeds! Thus complains Rudin, apparently modelled after the Russian anarchist Bakunin whom Turgenev knew personally. Strangely my own reading of the two great Russian anarchists, Bakunin and Kropotkin, it was Bakunin who seemed to be the man of action, Kropotkin who was the great writer. Take Yelena in 'On the Eve' for example and her admirable love of the Bulgarian Insarov. She draws love from him just as he is trying to leave her, to withdraw from her, because he sees he is so unworthy - an entirely characteristic feeling expressed by many Turgenev characters. Yelena leaves everything behind for Insarov - family, friends, entirely satisfactory suitors, and, most of all, Russia itself. But what does she get? As if to justify Insarov's view (he is a revolutionary just like Rudin in the first of these two stories) Turgenev plunges Insarov into critical illness so that, when he and Yelena leave Yelena's homeland together - having confronted awful partings - Yelena is also leaving behind health and vitality. The price is too great! But, of course, we all do have to make decisions in our lives. Turgenev is my fourth-favourite writer, though I don't know if I'd have placed him so highly on my list of favourite writers if I'd been introduced to him through his novels (of which he wrote only six) instead of his short stories.His books are as good as his stories, make no mistake, but he's more of an idea novelist than an action novelist.The plots aren't full of unexpected edge-of-your seat twists and turns and suspense; he's not the man to go to if you like your novels full of page-turning excitement and events that happen quickly.His characters seem to be more important than the plots; the characters are the ones who espouse and convey Turgenev's ideas and philosophies. 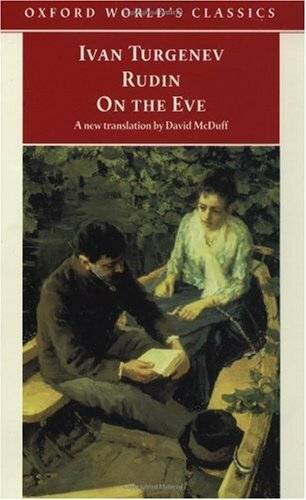 'Rudin,' the first of the two novels contained in this small volume and Turgenev's first book, I found rather unmemorable. (In fact, I found the debut novel of Hermann Hesse, my next-fave writer, 'Peter Camenzind,' to be more interesting and memorable, and overall PC isn't even one of his most memorable books! )Maybe it's because it was a first novel, though.Not much really happens; there are some nice descriptive pieces, but overall it's just a bunch of characters espousing ideas and explaining why they believe what they believe.I also had a hard time keeping track of which character was which, it was that non-character-driven. The second of the two books, 'On the Eve,' is brilliant by comparison.It's much more memorable, and much easier to remember which character is which, since they do more than just sit around philosophising.It also gets bonus points from me because the male protagonist is Bulgarian, since I love Bulgaria and Bulgarians.I was surprised that Yelena and Insarov actually managed to get married, given that nearly all of the love stories in Turgenev's writing end sadly, but the end is typically Turgenev. (My third-fave writer, Chekhov, also overwhelmingly has sad or pessimistic endings, but they wouldn't be who they were if their stories had happy endings! )I also like how Turgenev has an epilogue in his books (or in this case, a conclusion which may not be labelled as an epilogue but still serves the same purpose) to let the reader know what has happened to the characters since the main story wrapped up.Instead of just ending when the plot reaches its conclusion, he lets us know what has happened to the characters we've gotten to know and love. This is a short portrait of bourgeois Russian society just before the Crimean war, mainly, and its loves and hates. The most memorable character is a young Bulgarian, who moved to Russia as a child, and decides to go back and drive out the Turks. The reader gets something of the feel of the pan-Slavic movement of the time, which drove Europe to one of its major continental wars (which led almost inevitably to WWI and II). The most memorable scenes are in Venice towards the end - I won't give too much of the plot away. 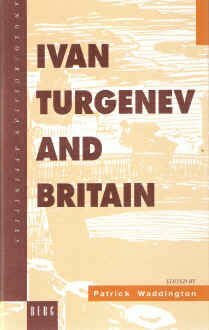 This volume presents a comprehensive overview of the close and complex relationship between Britain and the life and work of Ivan Turgenev. The author examines Turgenev's interest in English literature and his reception by the British from the 1850s through to the present day. Reprinting important articles previously inaccessible to the general reader, it includes a new introduction and an extensive bibliography and index.